Cells spread evenly edge to edge. 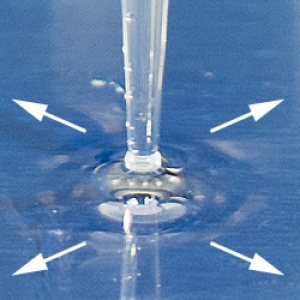 CytoDrop Slides are specially treated for uniform wettability so cell samples spread evenly edge to edge, every time, when performing chromosome analysis. 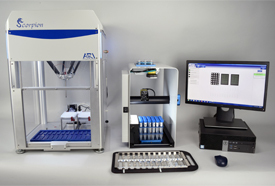 The wettability of each lot is measured with a surface analyzer and checked for uniform sample flow using the Scorpion™ Slide Preparation Robot. CytoDrop Slide packs are sealed to keep out moisture and are provided ready-to-use with no additional cleaning or treatment. Unopened slide packs retain uniform wettability for > 12 months. CytoDrop Slides for Metaphase Chromosome Analysis, 50/pk.